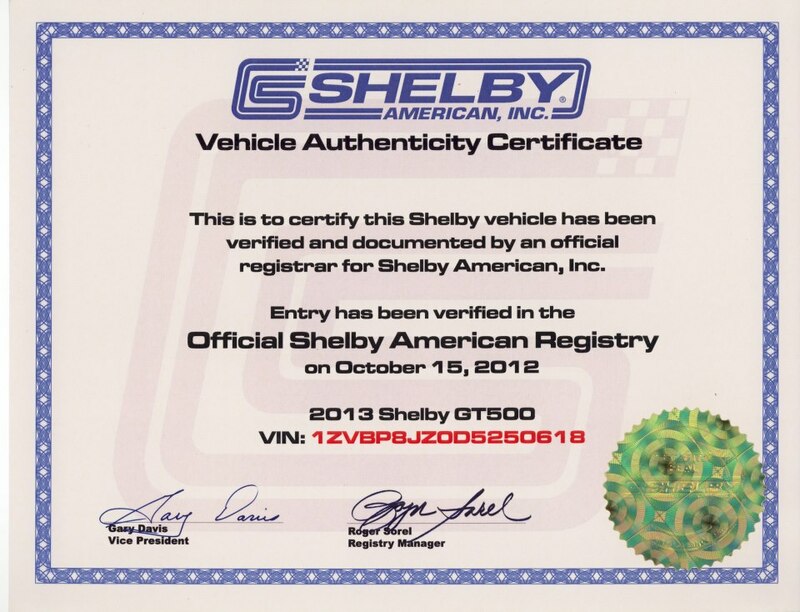 The official Shelby Registry, VIN Plaque and more - SoScary - the story! 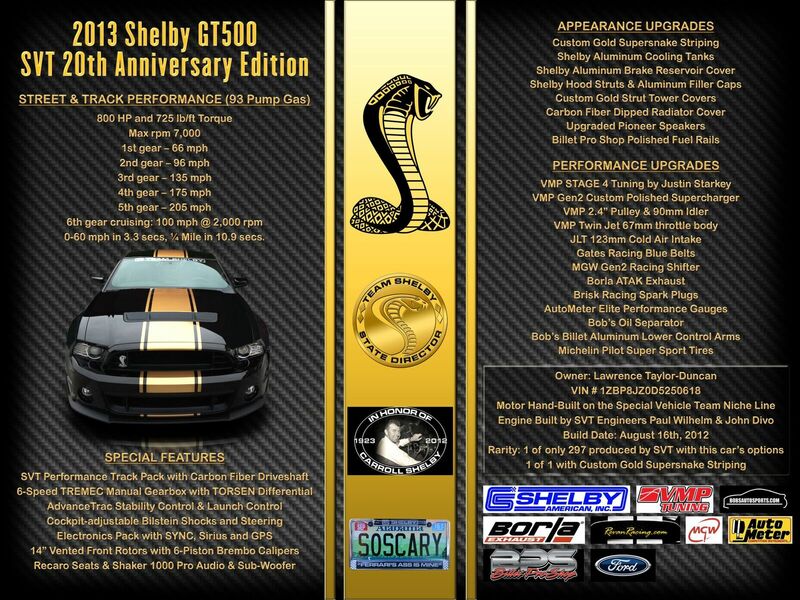 The official Shelby Registry, VIN Plaque and more - SoScary - the story! 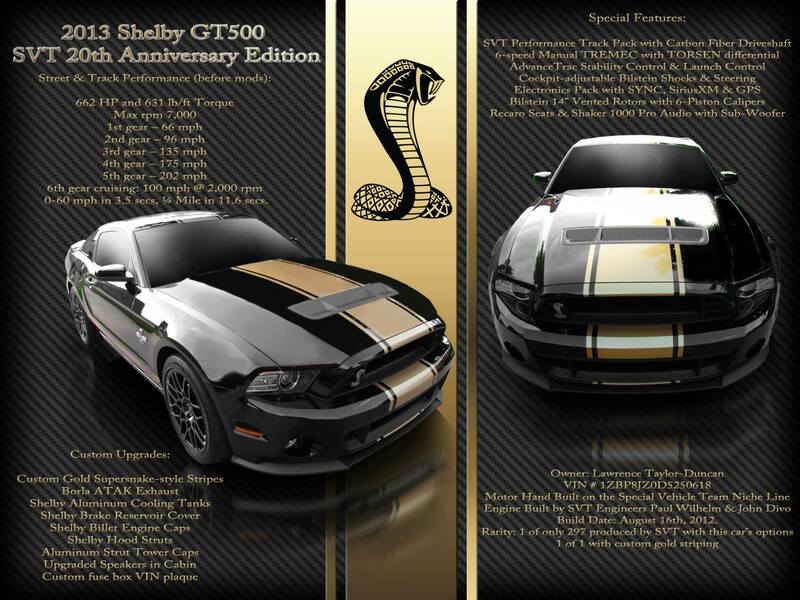 Within days of getting the Shelby, I had discovered Mustang Clubs, Shelby Forums and found a lot of after-market upgrade dealers online such as American Muscle. As if I didn’t know it already I soon realized Mustangs and Shelbys in particular, were no ordinary cars. The whole scene was huge! On the official Shelby American website, I discovered I could get SoScary officially registered so that was one of the first things I did. 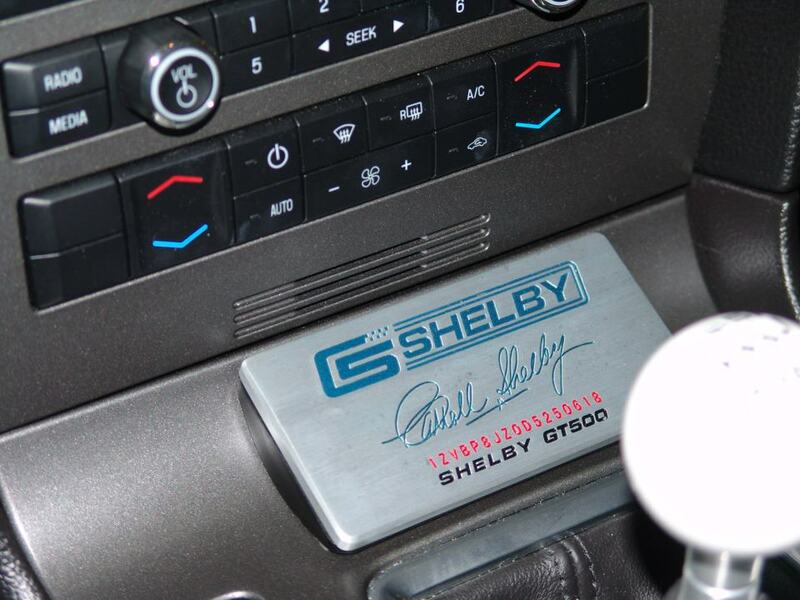 I also ordered an in-dash plaque which looks great! Here it is in the car.. 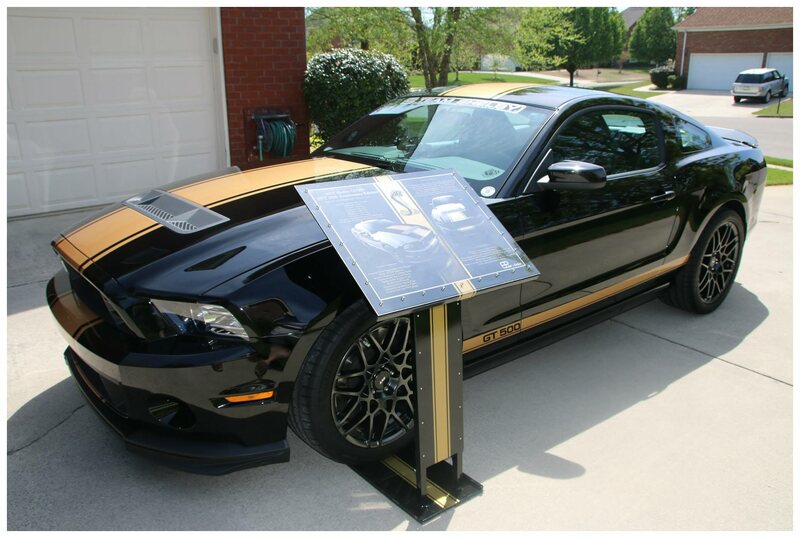 In January of 2014, I ordered a custom display stand made to match the car. It conveniently folds into three sections and the poster is laminated. Looks awesome! My custom made display stand shows off the car really well! Here is the first version of the poster. 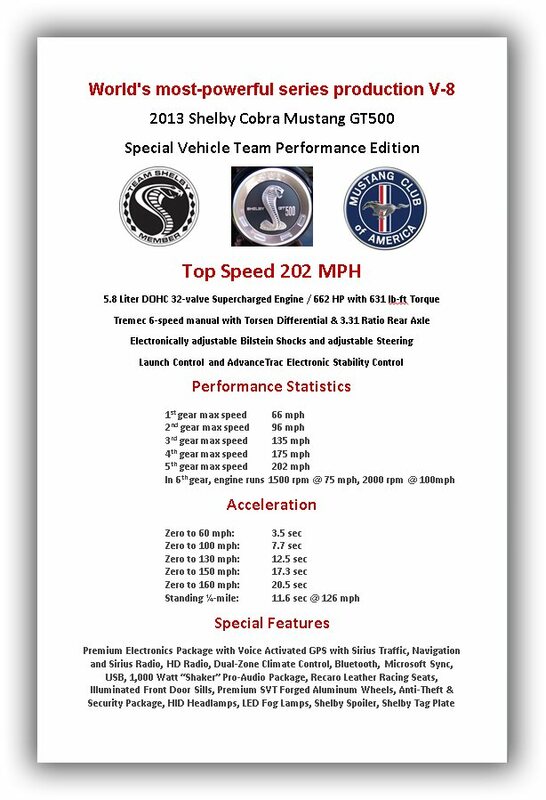 It has since been replaced to reflect the latest mods and performance enhancements done to the car. The poster has all sorts on interesting facts about the car – right down to which SVT engineers hand built the engine! UPDATE – March 2016 – here is my new display placard showing all my new mods! 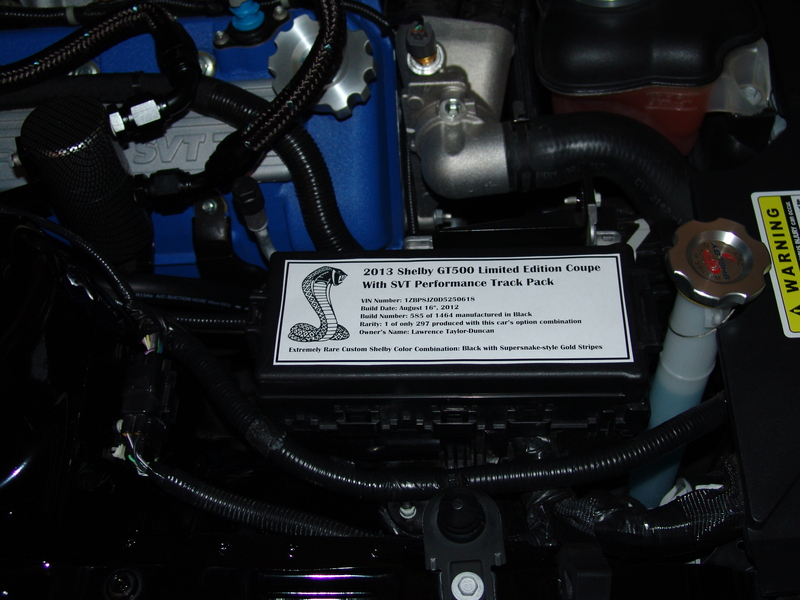 The engine bay did not go untouched – I got this nice laser-etched steel plaque made to cover the fuse box. Next post – Modding the car! 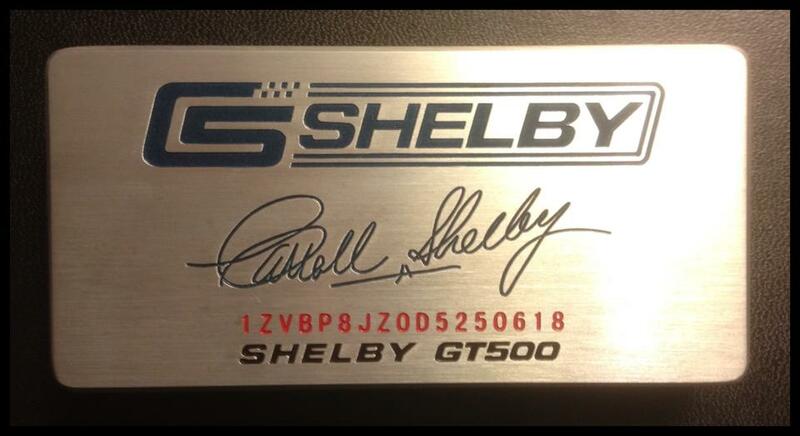 This entry was posted in The Official Shelby Registry, VIN Plaques and more. Bookmark the permalink. First class job on everything. Where did you get fuse box plaque and the display Poster that folds 3 ways. Really nice on everything. I have a 2014 Race red with everything but Recaros and glass Roof. Thank you! The plaque came from http://www.plaquemaker.com and as a matter of fact I have a new one on its way with updated information. The Display Stand came from a company in No. California that is out of business now (it took ages to get it and communications were terrible so I am not surprised they stopped doing them). I had a friend update the poster earlier this year.